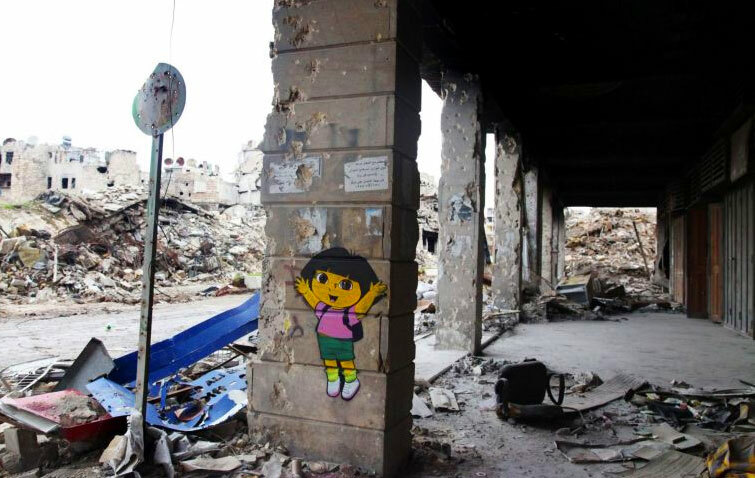 A little girl’s love of “Dora the Explorer” prompted this stencil creation by Luke Cornish on the streets of Aleppo, Syria. 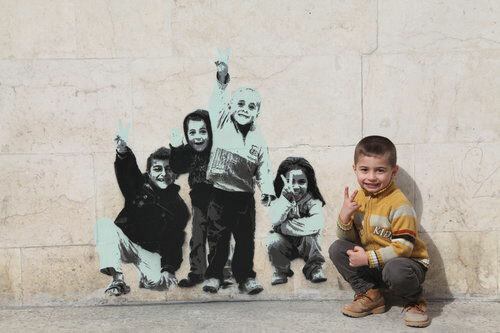 Street art takes on a poignant significance in the war-ravaged neighborhoods of Syria, by way of Australian artist Luke Cornish, whose spirited stencil depictions provide children with a creative refuge from the horrors of a conflict that seems to have no end in sight. Cornish, who first visited the country in 2016, immediately saw an opportunity to use art as a means for kids to escape, however briefly, from the harsh day-to-day of a region mired in violence.